First of all Micro Mini Royal Frenchel Bulldogs were inspired out of a need of people and a natural tendency in the breed. They are not merely a trend and they have been developed with the greatest of care for their needs and those they serve. Originally Royals were created to attend those with medical issues and yet many people with special needs cannot pick up or care for a larger dog. Then I got a nerve condition and I myself ended up finding out how wonderful it was to have one myself! They are so easy to maneuver with, feed and care for that it seems like my Micro Mini Royals take care of me more than I do them! 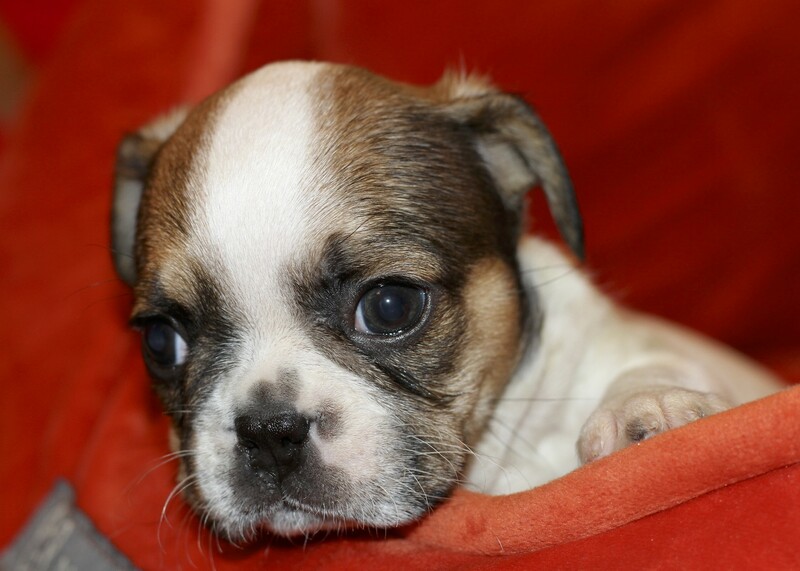 Micro Mini Royal Frenchel Bulldogs are rare and we have put years into developing them without risk to their parents. With careful consideration of both the dams success in birth or whelping as its called in the dog world and good care of the pups these little fellas entered the world ready to be the best friends, you will ever know. This has been costly and involved thousands of hours and breeding dogs to ensure the health and well being of the dam/mom. So, there is no more threat to the mother during birth having inconsistently sized litters with pups too larger for her to be born. We haven’t bred directly for Micro Royals until 2017 as originally they were naturally thrown in regular size litters due to the gene pool that created miniatures combined from all the breeds in their bloodlines. The result is a Micro Mini or teacup pup in litters that are regular sized. It is hilarious to see these little ones grow along side of their seemingly gigantic siblings! They quickly gain a place in their pack and use their intelligence to navigate their needs. We breed small boys with larger gals to ensure a lower cesarean rate and to have our dogs live long happy lives without risk to them. Now, after nearly 9 years of good care, Micro Mini Royal Frenchel Bulldogs are finally bred to one another, still with larger dams and smaller studs. Their litters have been very successful! Micro Mini Royals, as we call them, also take a huge amount of care during their first 3 months. 24 hour, round the clock care for about 10 weeks. Since they are so small, they require feeding numerous times a day in small amounts so that their blood sugar doesn’t drop in their small bodies. They can lose moisture and get dehydrated too in a matter of hours in the early stages of their lives. So, during the first weeks of a micro, we are on around the clock to ensure nutrients and safe journey into life. We keep a close watch and lots of handheld care of these babies ensuring they are happy campers who serve their human companions in ways that exceed nearly all other breeds of dogs. Micro Mini Royals develop more slowly and mature less quickly as well. This means that their siblings outgrow them swiftly and care needs to be taken to ensure that they are able to stay with their litter as long as possible and yet, protect them from those same siblings as they begin to play. Otherwise, other pups would be too challenging for the resulting in injury or death. 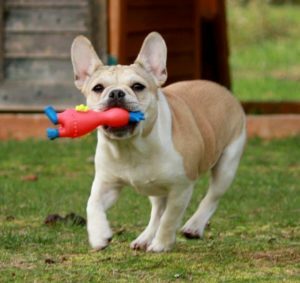 A Royal Frenchel Micro Mini Bulldog is a big dog in a tiny body. Despite the fact that they are the smallest bulldog you could find, they are incredibly sturdy, calm and relaxed in temperament. They also have a long life expectancy of 16 to 20 years! Smaller dogs live longer as is true with many species including humans! Their gentle, playful and loving nature makes them a reliable and sensitive companion, full of fun and yet no trouble to care for. Dogs that take a long time to mature in their first year of life live long lives. The Micro Mini Royal Frenchel Bulldog takes about 26 months to enter full maturity. They start out spindly and end up little tanks of love. Many people like the idea of having a tiny dog like other breeds of teacup toy dogs. However, they are not keen on the barking, shaking or territorial nature which is often associated with them. Instead, they want a sturdier dog with a great personality that loves to go where they go and enjoys people. 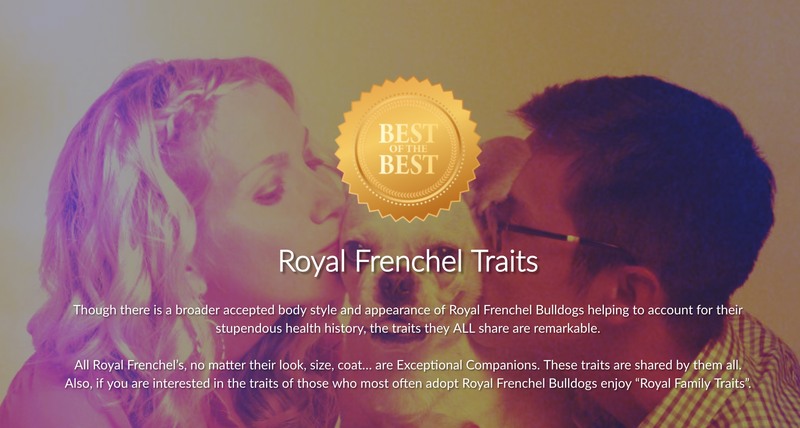 For these people, the Micro Mini Royal Frenchel Bulldog is the answer. 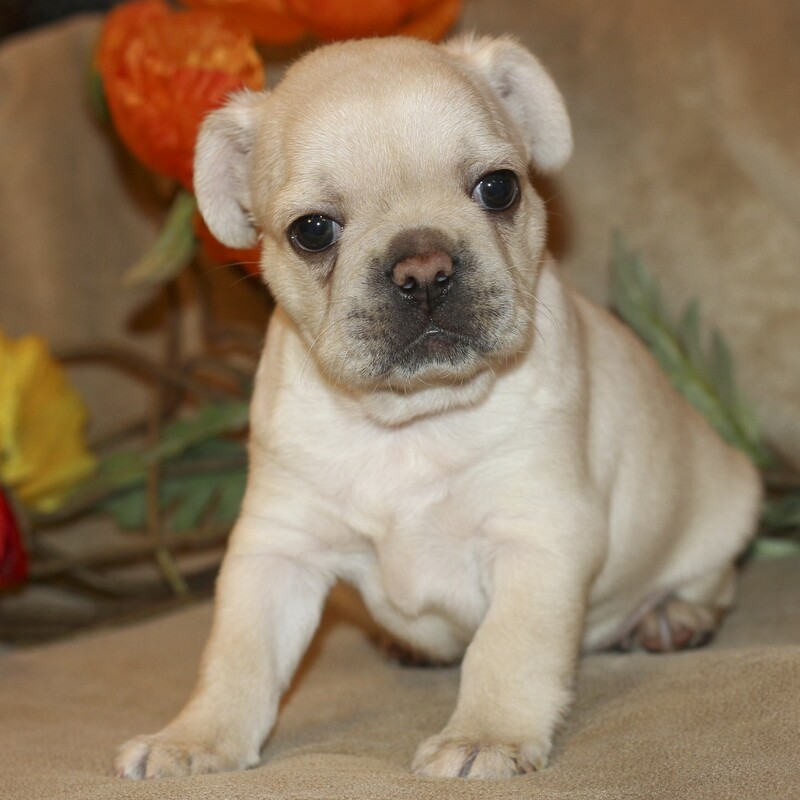 See Micro Mini Royal Frenchel Bulldogs Available Now! To say the Micro Mini Royal Frenchel is no trouble is an understatement, as in reality, they are often the ones who do the caring! 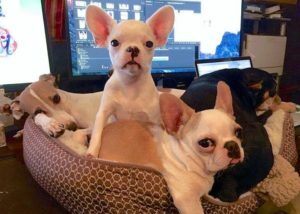 They are just like their larger Royal Frenchel family members in their capacity for service, Royal Frenchel Bulldog Traits. Anyone looking for a companion dog or a service dog to help with other dogs or people who need a healing presence is always excited to discover this breed. Micro Mini Royals small size together with the easy temperament makes them particularly good with children and an excellent companion for daily walks, travel, and playmate! 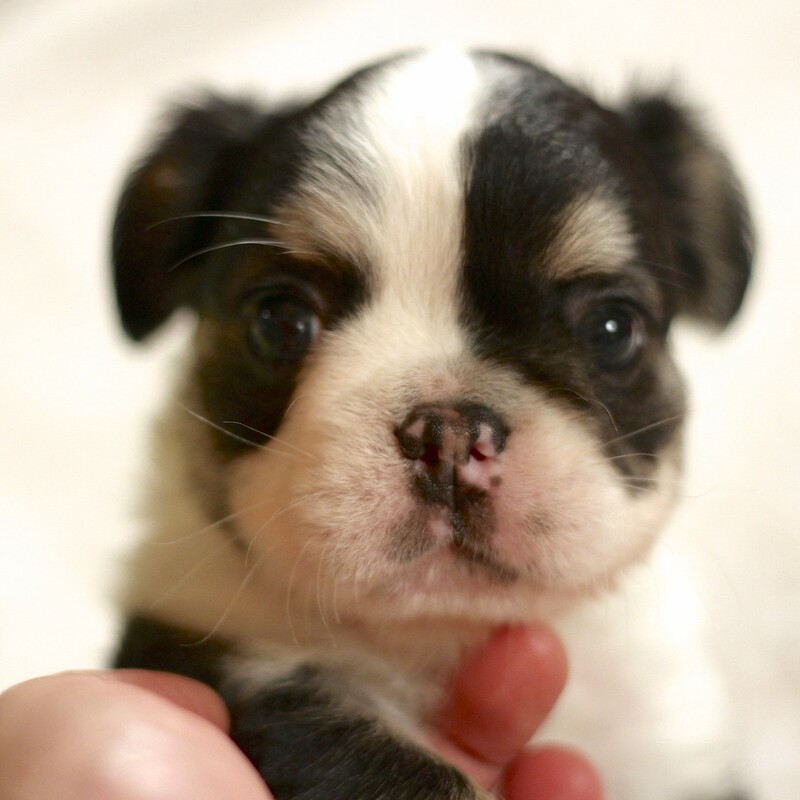 Micro Mini Royal Frenchel Bulldogs are Smart, Confident, Funny & Sweet. They are dogs that love to snuggle and will just about tell you where you left your keys! I am referring to the quality of these little Micro Mini Royals and their bulldog minds that notice everything and how they track everything you do! They Take Care of their Friends with Great Sensitivity. 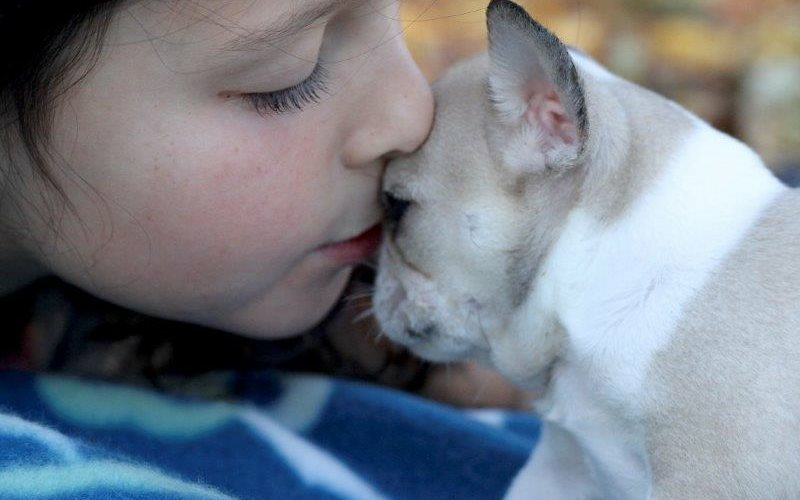 Whether dog or person, your Micro Mini Royal Frenchel Bulldog will muster all they can to meet you with earnest love showing interest in all you do while giving snuggles all the way through! Royals are long-lived & healthy dogs. They don’t have heavy genetic health issues associated with them the way many purebred breeds do today. Micro Mini Royals often choose unique friends of other dogs and people. Royals share many of the most beloved traits of the boxer family – without all the work! Micro Mini Royal Frenchel Bulldogs Are Cost Effective! 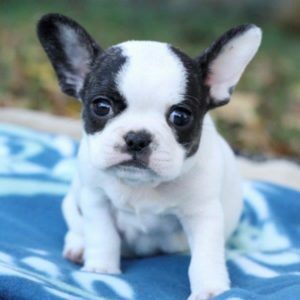 If you are looking for a cost-effective dog then you can relax about the cost of the Micro Mini Royal Frenchel Bulldog. It may seem that they cost more up front, however, their low cost of daily care and longer life make them often cheaper than other small breeds in the end! The photo of the Micro Mini Royals on my desk shows our daily lifestyle. There is nothing like having a Micro Mini Royal within reach for a momentary snuggle fest! Work was never better! 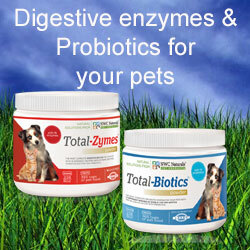 You can also expect minimum medical costs as well as you are buying a healthy dog with an outstanding life expectancy. Amortizing out the cost of a Micro Mini Royal Frenchel Bulldog ends up pennies a day for inexorable joys that never end! 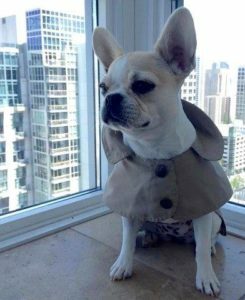 People from all walks of life are reporting how richly their lives are enhanced by their Micro Mini Royal Frenchel, and you simply don’t hear of anyone regretting buying one. 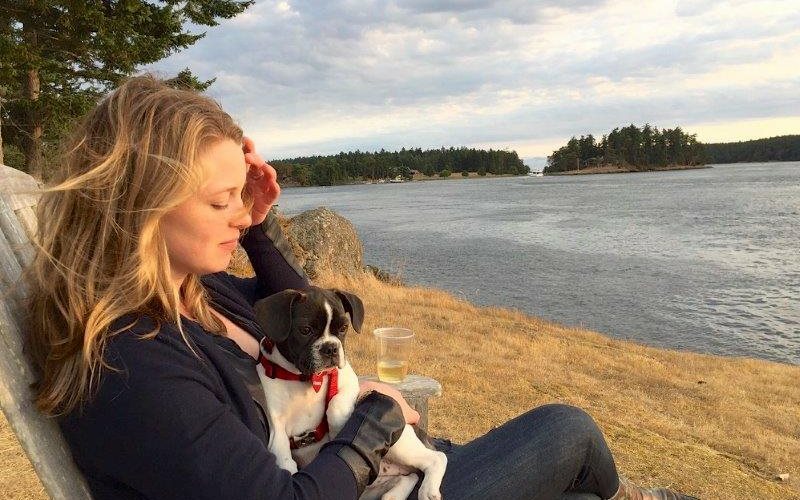 Whether you are wanting a family dog purely for love, a service dog for good work or a great companion for an aging dog who lost their partner, you will be repaid in countless ways by this adorable breed. 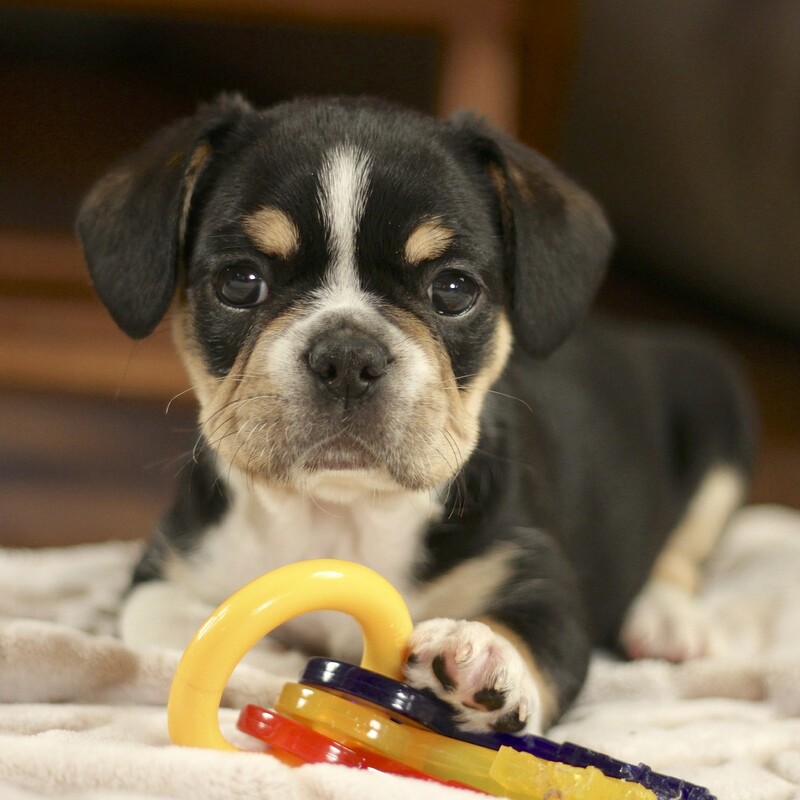 This micro bulldog is easy to train and is always the center of attention! 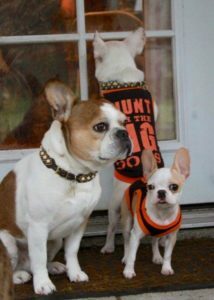 Micro Mini Pups to Adults – Big Dogs In Small Bodies! Due to their slow growth cycle and small appearance as pups people think Micro Mini Royals are fragile little dogs. Far from the truth! Micro Mini Royals are small, however, they are very healthy and sturdy. They grow to be beefy little handfuls making it easy to travel and take them with you anywhere, anytime. And they love it! So, when you look at the Micro Mini Royals as pups, remember that if they are not mature, they are apt to appear spindly and thin which is far from what they will look like as adults. It takes approximately 26 months for them to fully mature into their beefy nature. This page will show you the differences between pups and adults. 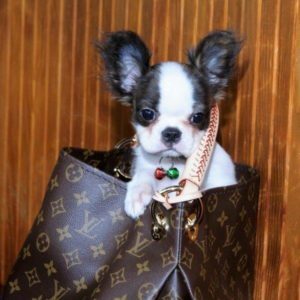 If you plan to take your pup in a dog carrier with you everywhere as many do, ensure your Micro Mini Royal or any small dog for that matter, has a floor in any carry pack you use. Carrying a dog regularly in a pack can injure their spines as you can imagine yourself being held on an unstable footing for a long time. A floor in the bottom of the carrier ensures that their weight stays where it belongs on their bones structure and back, where it ensures pressure on the correct areas of the spine. 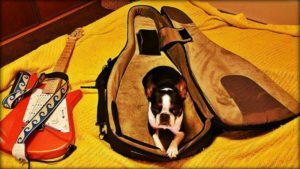 Having a dog carrier with a proper floor simply makes their travel great and ensures that they don’t get injured over the long term while they are having fun.